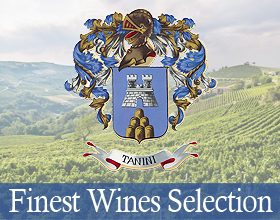 Production and direct Sales of Controlled and Guaranteed Designation of Origin Chianti Rufina Wines. A History of Passion, Quality and Tradition. 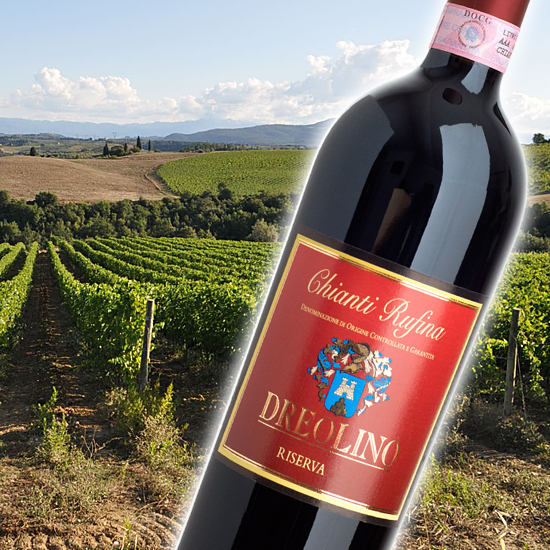 The family-run Dreolino Winery produces high-quality wines with the appellations ‘Chianti DOCG’, ‘Chianti Rufina DOCG’ and ‘Tuscany IGT’. The production of our wines starts in the classic Chianti zone, not far from the beautiful Renaissance city of Florence, with grape varietals which were selected for cultivation many centuries ago by an earlier generation of Tuscan winemakers, who laid the groundwork for what have become the time-honoured winemaking traditions in this area. Our respect for these traditions allows us to produce wines of great refinement and elegance. The Dreolino Winery was founded back in 1939 by Gino Tanini. The rather unusual name ‘Dreolino’ is a diminutive form of Andrea, the name of Gino’s father, who was known locally in his day as Drea. When Gino was born, to indicate the little baby’s lineage, the villagers started to call him Dreolino, or ‘little Drea’. At that time there was another Gino Tanini in the village of Rufina, and so to avoid confusion, the founder decided to use his distinctive nickname as the official name of the company. The Dreolino brand started out on the path to success from its base in the very heart of Rufina. The turning point came in 1967 with the entry into the company of Gino’s son, Raffaello. He purchased the plots outright and designed and constructed the modern new facility - still in use today - where all the barrel-ageing, automatic-bottling and bottle-ageing of our wines is carried out, allowing us to ensure the highest standards of quality-control are applied to all aspects of the production process. Since then, the company has continued to modernise, winning ever-larger market-shares all over the world. In 1997, the Fattoria Pretoio estate came under the ownership of Dreolino. This estate is situated very close to its parent company, and has a wonderful medieval villa at its centre, which was rebuilt in 1773 by Olivetan monks from the nearby Monastery of San Miniato, when they also built a little chapel dedicated to Santa Maria in Petroio. The estate’s 280-acres are made up of olive groves, vineyards, farmlands and a game reserve. It is in this enchanting location that the grapes which are used to produce Chianti Petroio are grown. The Dreolino Winery offers a wide range of finest-quality wines, such as Chianti Rufina, Chianti, Rosso and Bianco Toscano IGTs, Reserves, Crus and Vin Santo. VAT Code and Fiscal Code: 03661800486.